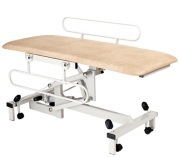 Building on 40 years of continuous experience in manufacturing medical patient furniture, Plinth 2000 offer a range of products second to none. 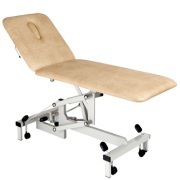 As the UK’s leading manufacturer and supplier of long lasting adjustable treatment couches and chairs to the medical profession, all products are manufactured in-house in the UK ensuring high levels of quality control and service. 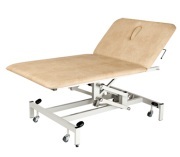 A wide range of models and colours are available from examination and treatment couches to clinical couches to suit most situations. Made from quality materials including high density fire retardant foam and hard wearing anti-microbial vinyl for upholstery, all models have a variety of accessories available such as safety rails both standard and padded, with many models available in electric or hydraulic versions. The Plinth2000 502 model 2-section plinth is available in either electric or manual height adjustment and a wide range of colours. Designed specifically for use within schools and homes for changing disabled people. Strong, stable platform fitted with fold-down cot sides. 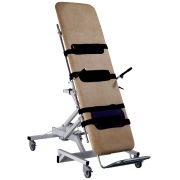 The 501 is fully hoist accessible with electric height and tilt adjustment. Four button hand control provides simultaneous height and tilt control and fine adjustment. 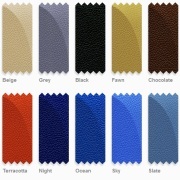 Plinth 2000 use only the best quality vinyl proven over many years and most feature an anti-microbial additive to help prevent cross infection.